lt;stronggt;PAG34884PKlt;/stronggt;lt;BR/gt;Procter amp; Gamble Professional Quilted Napkinslt;BR/gt;Wipe away the messiest of messes with a soft touch. 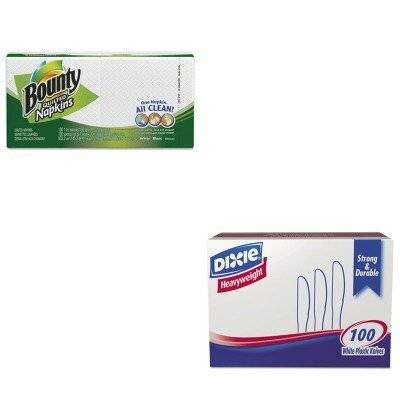 Materials: Paper Colors: White Width: 12 1/10amp;quot;.lt;BR/gt;lt;BR/gt;lt;stronggt;DXEKH207lt;/stronggt;lt;BR/gt;Procter amp; Gamble Professional Quilted Napkinslt;BR/gt;Supply guests with a sturdy, heavyweight utensil. A great addition to culinary gatheringslarge and small. Utensils Type: Knife Materials: Plastic Colors: White Grade: Heavyweight.